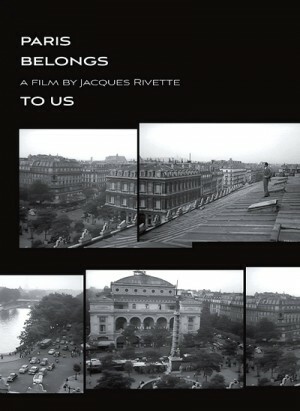 • Richard Neupert - in this brand new interview, Richard Neupert, professor of film studies at the University of Georgia and author of A History of the French New Wave Cinema, discusses the career of Jacques Rivette, some of the early films he championed, and the styles and themes of his debut feature, Paris Belongs to Us. The interview was conducted exclusively for Criterion in 2015. In English, not subtitled. (25 min, 1080i). • Le Coup du Berger - Jacques Rivette directed this early short film about an adulterous wife in 1956. The wife is played by Virginie Vitry while Jean-Claude Brialy (Le beau Serge) becomes the lover. Also, there are cameos by Jacques Rivette, Francois Truffaut, Jean-Luc Godard, and Claude Chabrol. In French, with optional English subtitles. (29 min, 1080p).